Proximity mobile payments are expected to reach well over $100 billion annually by 2018. This should come as no surprise as mobile use continues to soar. According to a report from Nielsen, 85% of Millennials have smartphones and Millennial Marketing says they never leave home without them. In 2014, proximity mobile payments exceeded $3 billion and that number could surpass $15 billion in 2015 according to Business Insider Intelligence. By 2018 the number of US proximity mobile payment users is expected to reach over 50 million users that will spend over $100 billion. What are proximity mobile payments? Mobile proximity payments are contactless point-of-sale (POS) transactions that occur in-stores made using a mobile device. Simply hold your smartphone near the POS terminal and make your payment. It’s that easy. Depending on your device settings or digital wallet configurations, you can also select different cards to use and create unique passwords such as your fingerprint or a numerical pin password to securely access your digital wallet for payment. 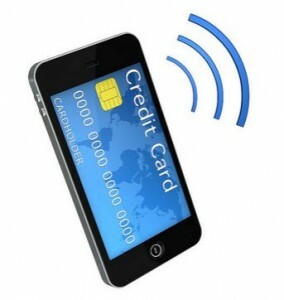 How do proximity mobile payment transactions work? Up until very recently, to make contactless payments the user must have a digital wallet such as Google Wallet, Samsung Pay, or Apple Pay, and the in-store POS system must be equipped with an Near Field Communication (NFC) chip reader. With the most recent advancements in technology, however, all of that is about to change and you won’t need an NFC chip much longer. Samsung acquired LoopPay in February earlier this year and they are revolutionizing the proximity mobile payment industry. LoopPay developed the Magnetic Secure Transmission (MST) technology that allows you to make payment with your digital wallet at magnetic stripe card terminals and contactless POS terminals. This is an amazing advancement because now there is no retail upgrade required at the store check-outs for Samsung Pay to work. With LoopPay MST technology, anywhere you can swipe a card will be able to accept mobile payments. Personally, I’m excited about Magnetic Secure Transmission (MST) technology and the ability to make mobile payments anywhere cards are accepted. This will allow users the ability to leave home with nothing but a smartphone! Thanks for reading. Stay tuned for more updates coming soon.